Renowned experts in Internet Standards, Technologies, Policy and Institutional development debate the emerging trends of the Internet for the UK in the mother of Parliaments at Westminster. The Internet Engineering Task Force (IETF) is meeting for only the second time in London during the first week of March. IETF defines the Standards that make the Internet. The IETF considers “pervasive monitoring” similar to other security problems in the Internet. The IETF is working to strengthen Internet technology to better defend against this type of attack. Parliament has asked the Intelligence and Security Committee to beef up oversight of Surveillance and is asking for evidence for its current inquiry on the legislative framework on privacy and security. What is the technical dimension on these issues? What implications emerge from a better understanding of these dynamics for legislators in a digital world? This will be a unique opportunity to engage legislators and the Internet technical community on these issues. No technical knowledge is expected. Some political and technical know how will hopefully be transferred. 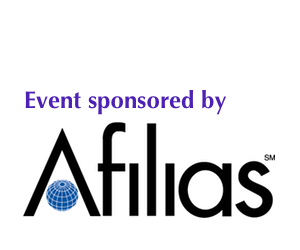 The event will be followed by a reception kindly sponsored by Afilias. * Dr. Ian Brown – Global Cyber Security Capacity Centre, Oxford University – Is asking for a balance between privacy and security the right question? * Kathy Brown – CEO The Internet Society – Internet Governance in perspective – Open for everyone.